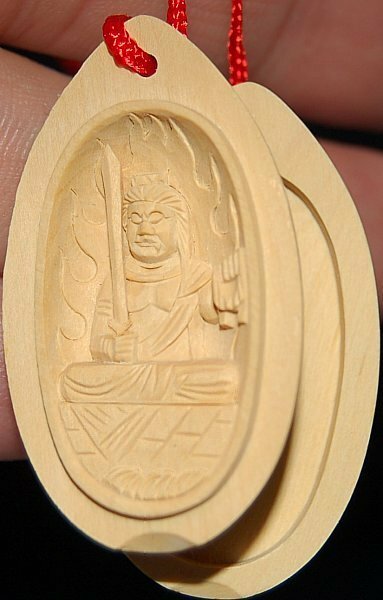 Wields devil-subduing sword in right hand (also symbolizes wisdom cutting through ignorance); holds lasso in left to bind up the wicked (or keep people from straying); sits on a rock because Fudo's faith is "immovable." Flaming halo symbolizes the burning away of desires. See Fudo background notes for more details on iconography. 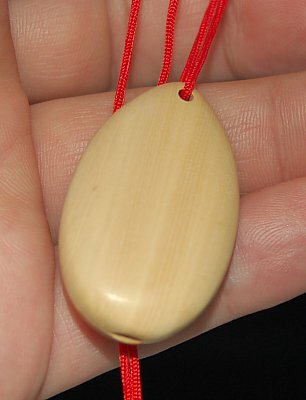 Above is example of amulet size (example deity is not Fudo). 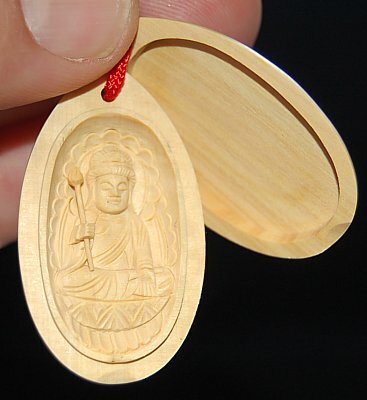 Fudo piece comes in same size and same two-piece design.